I had double the fun with these two adorable boys during their studio session. 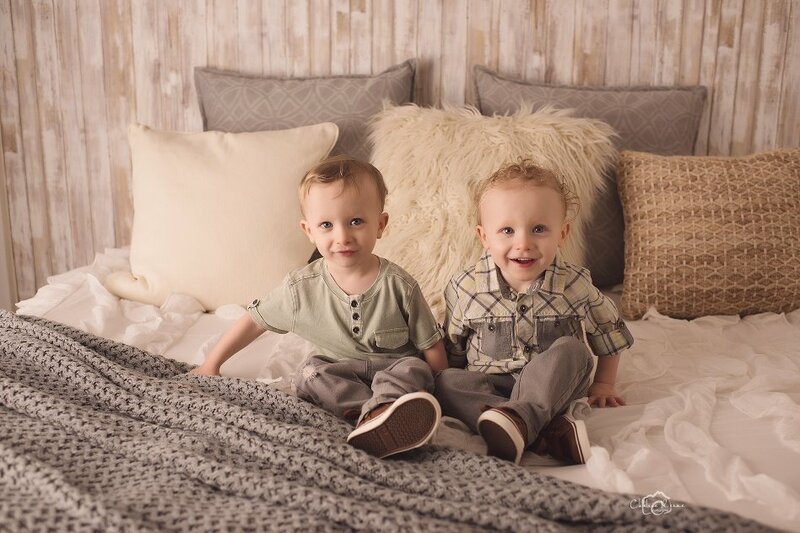 Their grey tone outfits paired perfectly with my white washed wood background and soft linens. The boys did great during their studio session, showing off their sweet smiles. If you would like to book a studio session you can do so here. The indoor studio sessions are 60 minutes long. The studio session can include multiple children, parents, and nuclear family members. Please inquire here for extended family options. You will receive 50+ beautiful digital images via download from your private online gallery and a personal print release. Check out other studio sessions here.